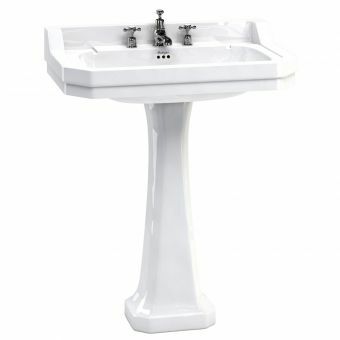 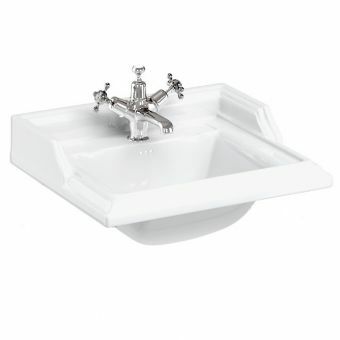 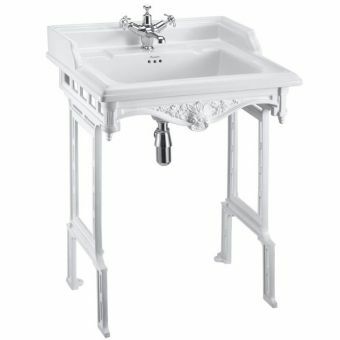 Burlington Victorian Inset BasinFrom £116.35 inc.VATRRP: £179.00 (Save 35%)Inset vanity basin by Burlington bathrooms in a Victorian style with soap holder recesses, 1 or 2 tap holes. 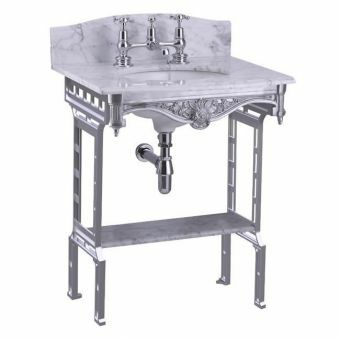 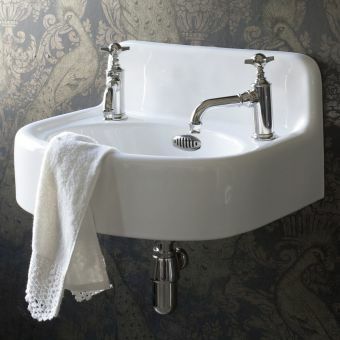 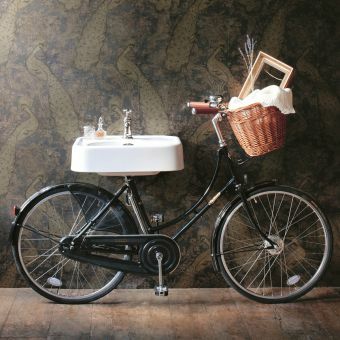 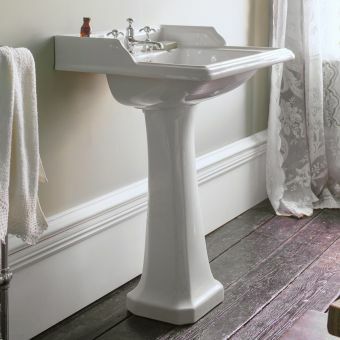 Burlington are masters of capturing the spirit of the past, a skill which is plain to see in their collection of bathroom basins and sinks. 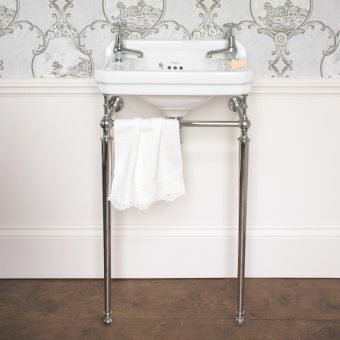 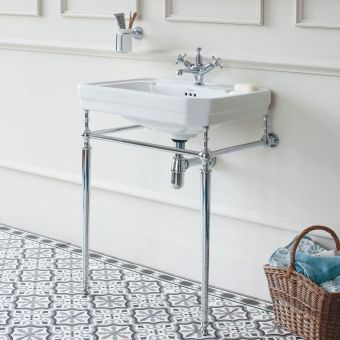 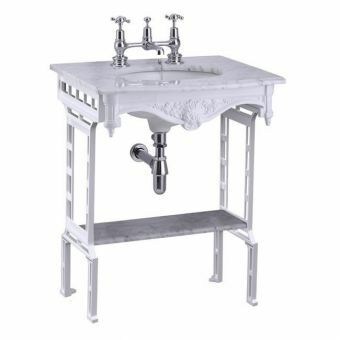 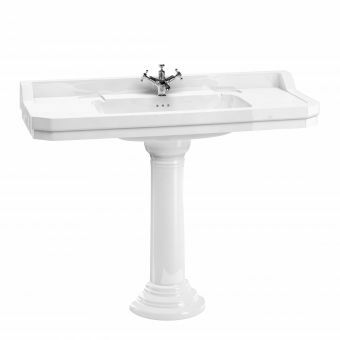 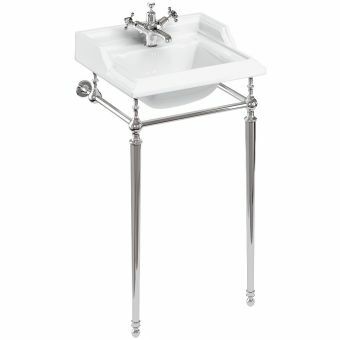 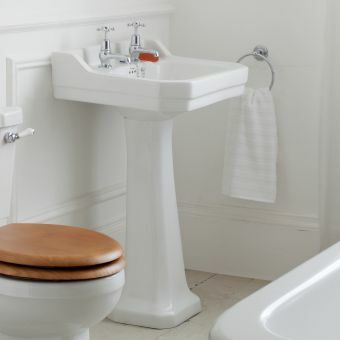 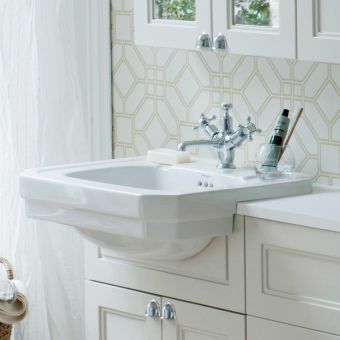 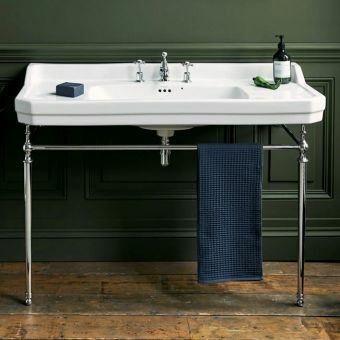 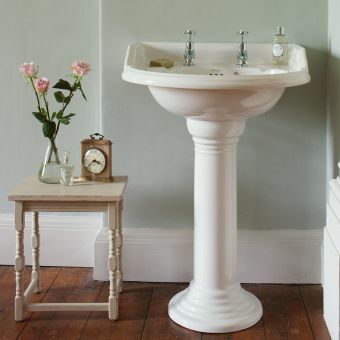 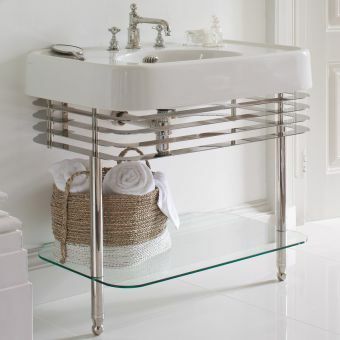 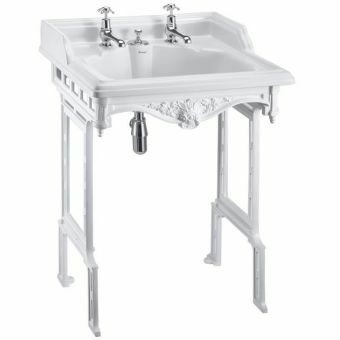 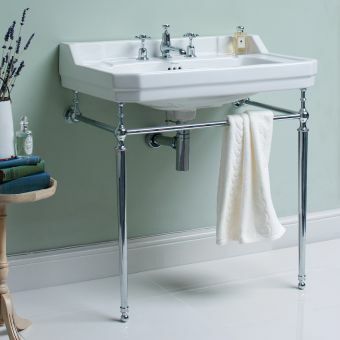 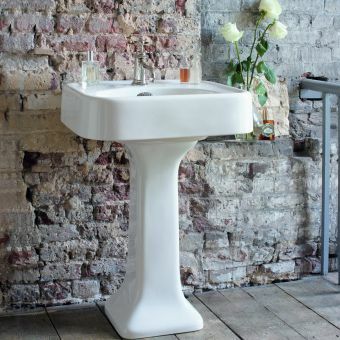 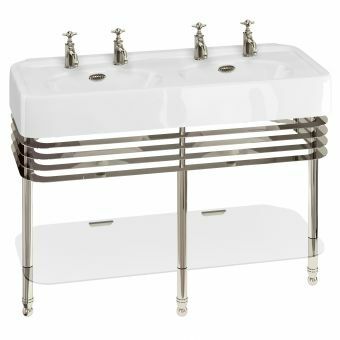 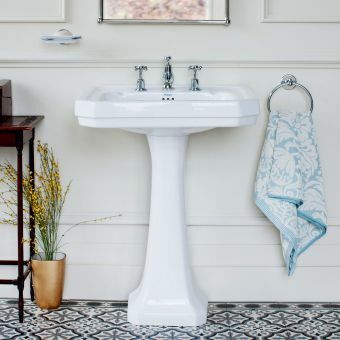 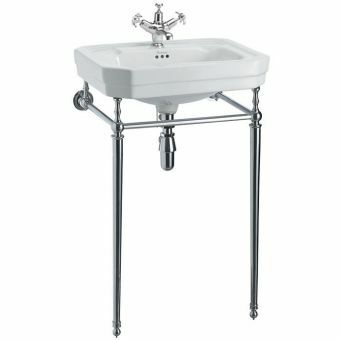 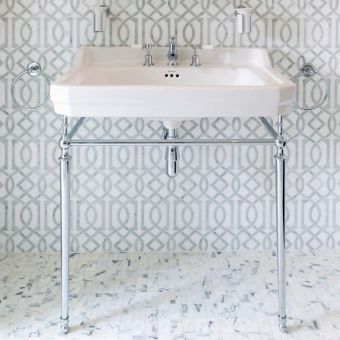 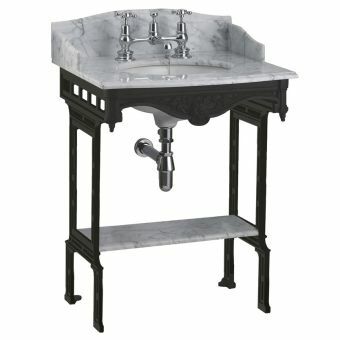 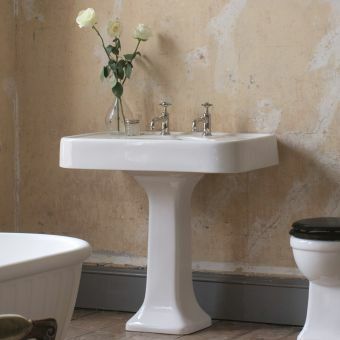 From traditional pedestal basins to the more exotic range of Georgian Wash Stands, the bathroom with a refined interior is well served by a Burlington piece. 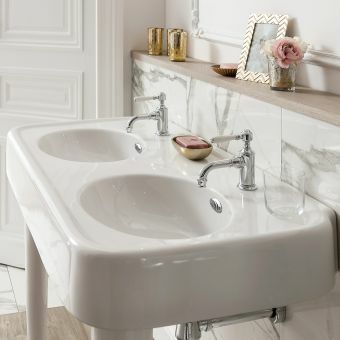 The Burlington semi-recessed and semi-inset basins take the Belfast basin, applying it to the bathroom context for a homely appearance. 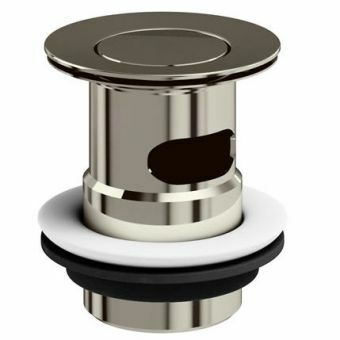 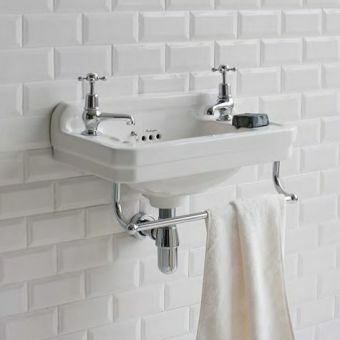 For the wall mounted or exposed basin, a selection of stylish bottle traps and waste outlets provide a viable alternative to standard plumbing or unsightly plastic pipes. 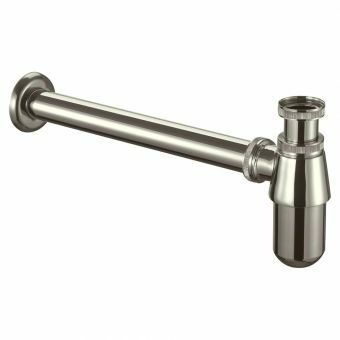 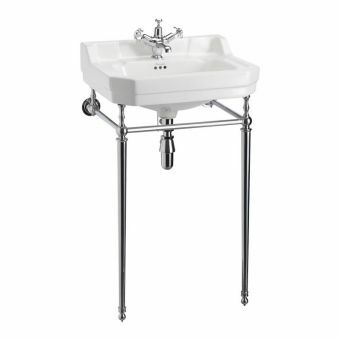 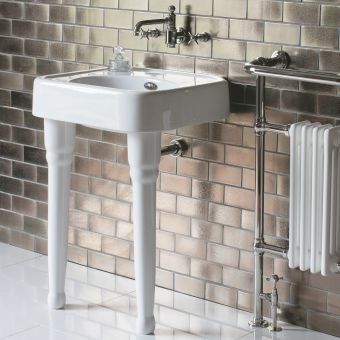 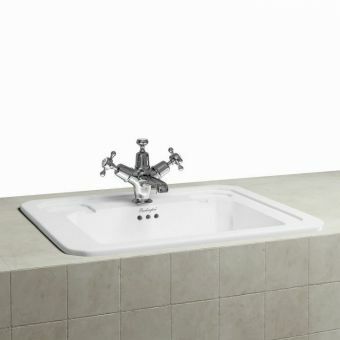 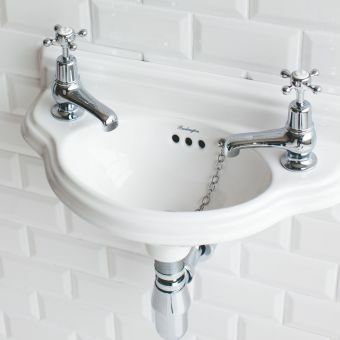 Perfectly suited for use with Burlington taps and mixers, please see our range of Burlington brassware for pieces that compliment these basins in both style and dimensions. 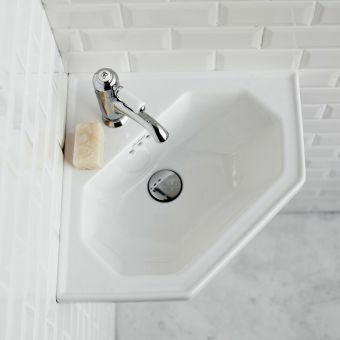 The sculpted and architectural qualities of these basins reflects their design inspiration, making them the ideal solution for those with a traditional sensibility. 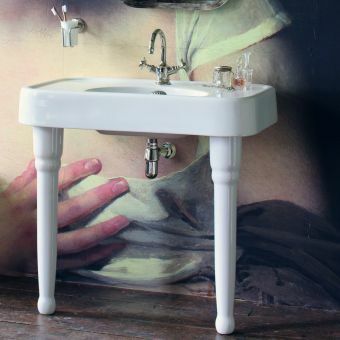 For something truly unique, the English Garden series of basins are a delightfully artistic range, decorated with floral print designs for a bright and inviting finish.